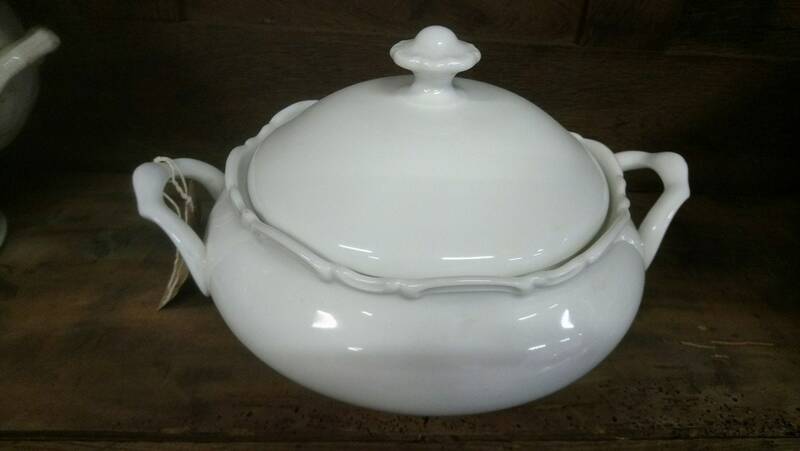 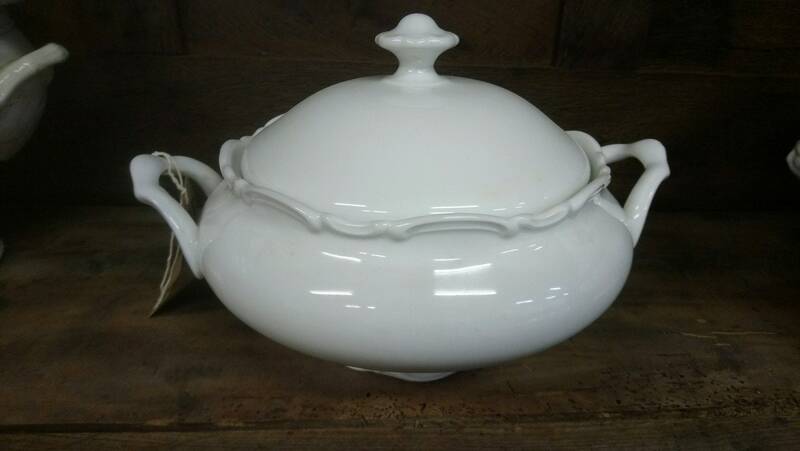 A beautiful antique shallow soupiere tureen dish in the traditional French white porcelain, with a lid having an elegant finial and both body and foot having fluted C scroll edge moulding. 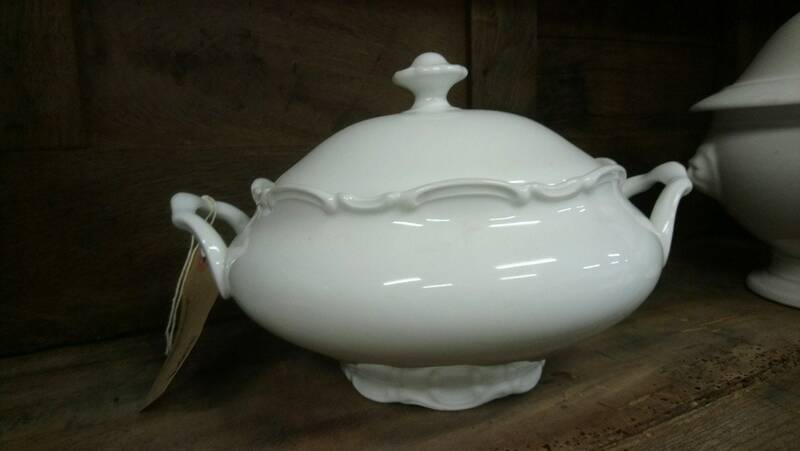 This is in great antique condition and has handles either side of the bowl. 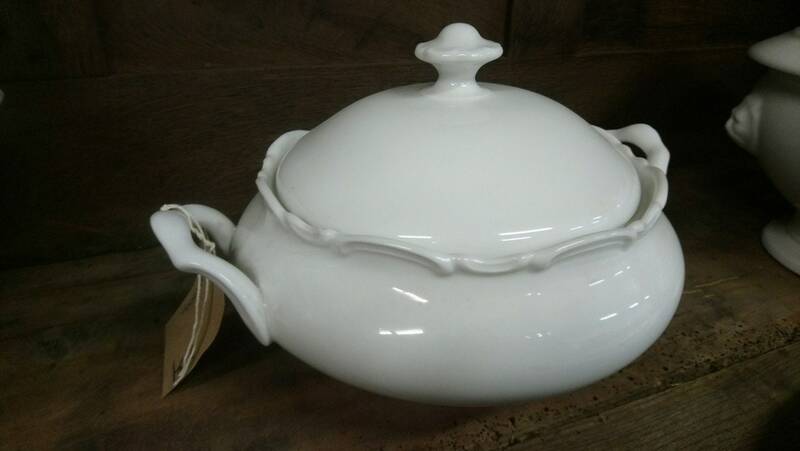 Size approx diameter 9 inches, height 8 inches, across handles 12 inches wide.